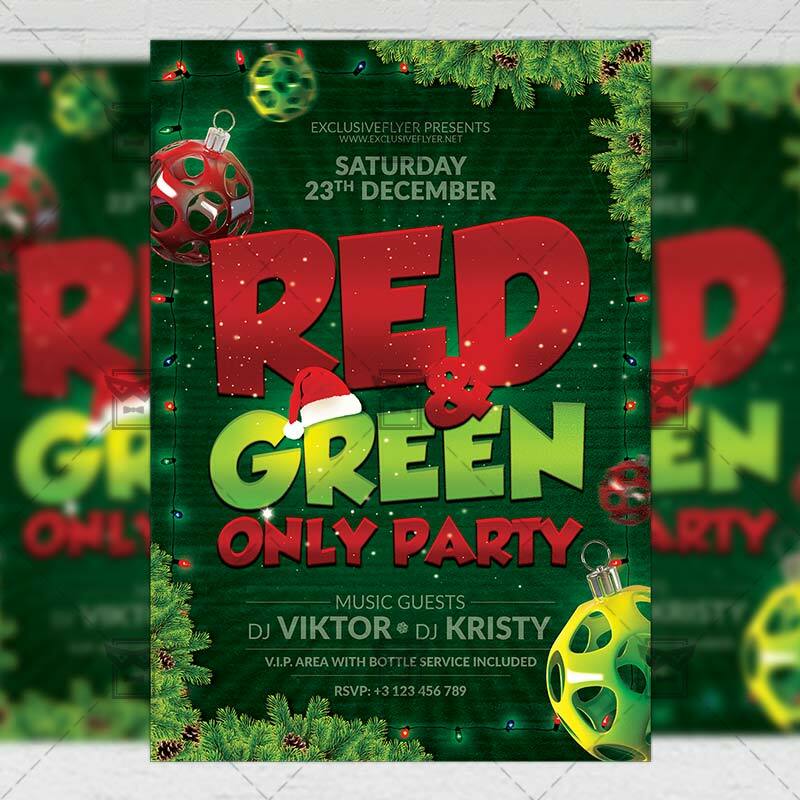 The Red and Green Only Party is the exclusive Photoshop PSD flyer template designed by ExclusiveFlyer to promote your Red and Green Only Party Night. 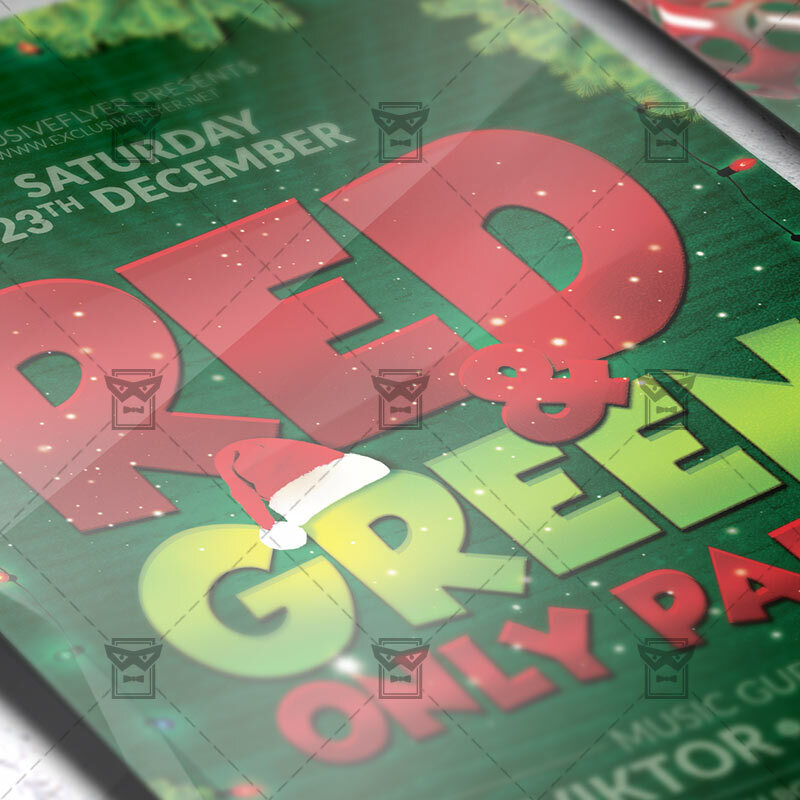 This is a modern, stylish flyer and just be used for Winter Party Night, Let It Snow Night, Christmas Party, First Winter Party etc. SKU: 0.1667. 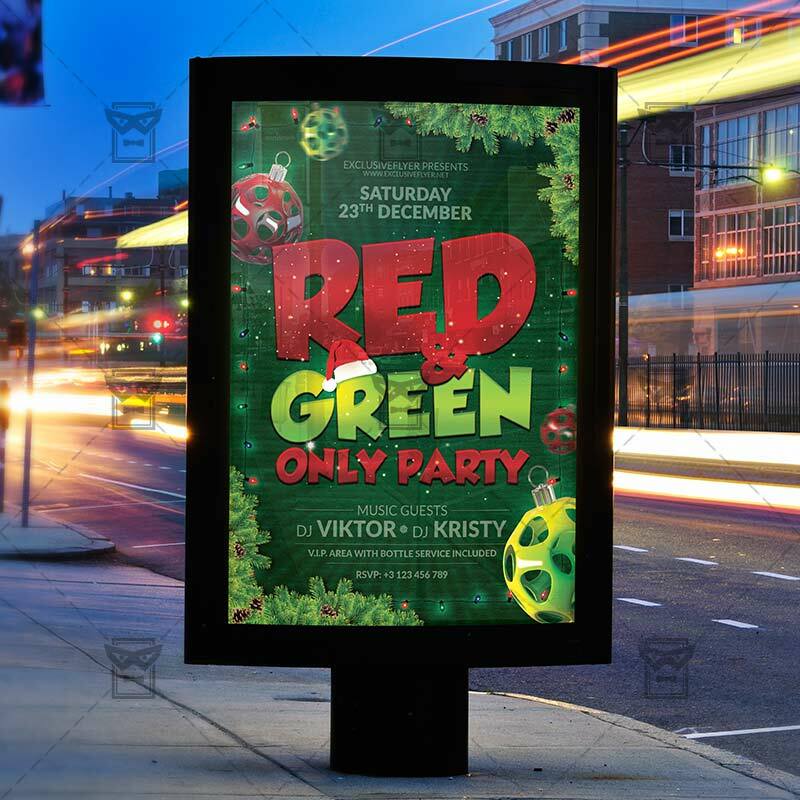 Categories: Christmas Flyers, Seasonal Flyers, Winter Flyer. Tags: christmas, christmas tree, gift boxes, santa clause, snow, ugly sweaters, winter, winter season opening.